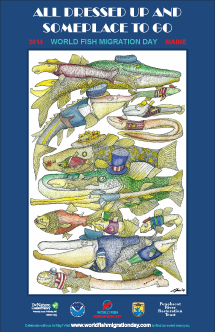 You are here: Home / Projects / World Fish Migration Day / What Makes Migration Tough? For people who want more information, this document describes some of the difficulties that fish deal with when they migrate. It's a great companion to our cartoon instructions.